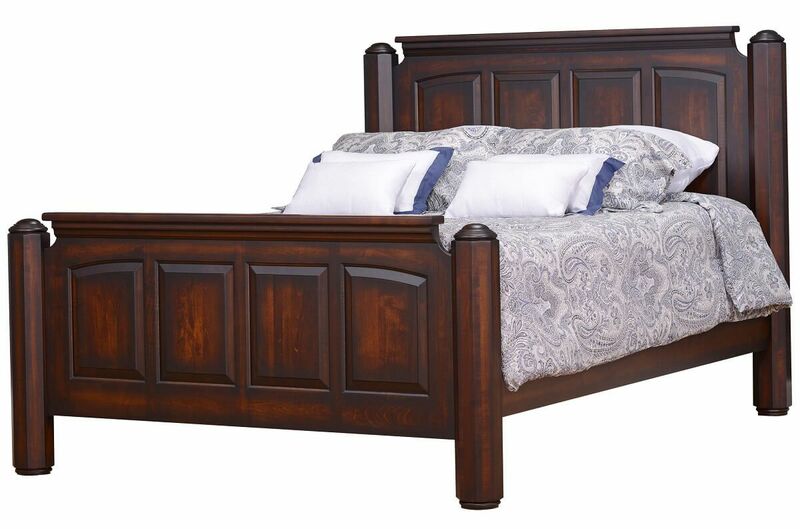 A look of nobility for your bedroom, this Goodwin Handcrafted Bed is stately and handsome in it's hardwood design. Design your centerpiece with Countryside. In designs that are truly classic, the Goodwin Handcrafted Bed features timeless, beautiful details such as four large octagon posts, intricate panels, and heavy mouldings. This made-to-order is built entirely out of solid wood to ensure a lifetime of satisfaction and enjoyment. Have your Goodwin Handcrafted Bed built in any of four sizes, all of which accommodate a standard mattress and foundation system. Available in a variety of woods and finishes, this Amish solid wood bed can be customized to your specifications. A rich Sepia Trail wood finish over solid Cherry will achieve the Goodwin Handcrafted Bed pictured look.